Murunkan Police which seized a cache of ammunition found in a well at a home garden in Murunkan, Mannar, following an alert from the house owner, also saved a baby crocodile from the well and released it to the Yoda Wewa. 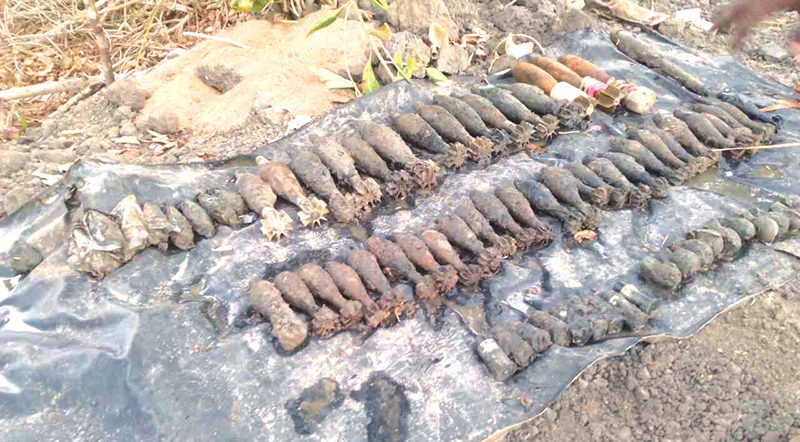 The house owner had discovered the arms and ammunition when he was trying to clean the well and alerted the Murunkan Police which retrieved them with the assistance of the STF. Among the cache of ammunition were one RPG, two SFG 81s, five K400s, three TYTE bombs, 15 81mm bombs, 27 60mm bombs, 10 MGLs and 8 fuses. Police believe that LTTE cadres would have hidden the cache of arms while retreating during the last stages of the war. Police were due to deactivate the bombs yesterday.